Get this and a few hundred bucks! 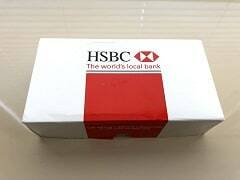 HSBC Bank is one of the world's largest banks and now they're offering one of the largest bonuses as a welcome deposit. It's becoming increasingly popular for banks to offer large bonuses if you open a new checking account, deposit new money, and satisfy a few other conditions. HSBC is getting into the game and the welcome bonus depends a lot on the account you open, the amount you're able to deposit, and whether or not you can satisfy the other conditions. If you're in the mood to learn about some bonuses, I'm in the mood to share them with you! We will update this page with the latest welcome promotions as they are refreshed. There are a few terms and conditions of this offer. First, you must be 18 years of age, have a Social Security number, a U.S. residential address and had U.S. residency for the past three years. Next, New Money is defined as deposits “not previously held at any member of the HSBC Group in the U.S. You also need to keep those funds in your account and keep that account in good standing until the gift fulfillment. One gift per customer, including all individual and joint accounts (the first line name is what counts on joint accounts). HSBC Advance Checking Account: A $25 monthly maintenance fee if you do not maintain a combined U.S. personal deposit and investment balance of $10,000+ or $5,000+ and maintain a recurring direct deposit from a third party at least once per monthly cycle. HSBC Premier Checking Account: A $50 monthly maintenance fee if you do not maintain a combined U.S. personal deposit and investment balance of $100,000+. The terms are pretty straightforward, nothing stands out as being particularly onerous. HSBC Bank offers some of the richest bank promotions and the monthly balance requirements are in line with similar offers. The highest bonus, $750, is on their Premier Checking product which requires a $100,000+ balance – a tall order but it comes with one of the biggest bonuses I've seen. By comparison, the Chase promotion looks almost pedestrian! The appeal of the Chase bonus is that you can get the Total Checking and the Savings for a total bonus of $350. The information, including rates and fees, presented in the review is accurate as of the date of the review. Please refer to issuer website and application for the most current information. We may be paid for the content on this site. They used to have an affiliate program on CJ that paid pretty good. It was under the Beneficial bank brand.